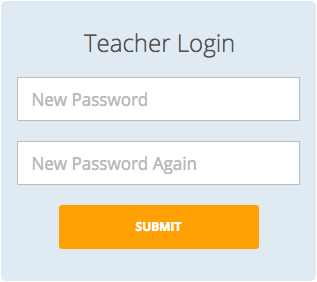 Note: You can also access the login screen via b.socrative.com or by opening the Socrative Teacher mobile app. 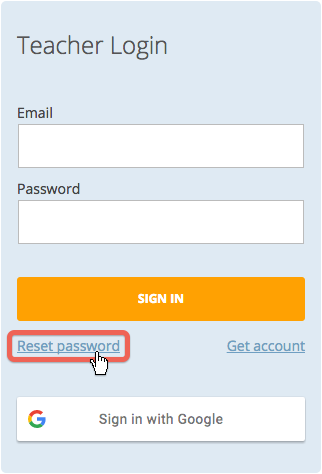 Click on Reset Password below the account sign in buttons. 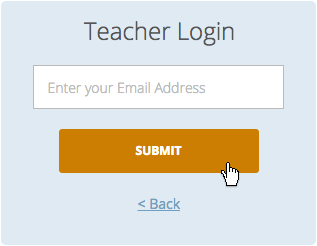 Next, enter your Socrative account email address and click Submit. You will be sent an email containing a temporary, single-use URL to reset your password. Type a new password and confirm it, then click Submit.